Theodore Decker is in Amsterdam, out of his mind with worry, fretting, in trouble, an American with no Dutch language knowledge, with papers screaming of bloodshed and murder. He is out of place, he is afraid. He recounts his life, the decisions and actions and events that led him up to being locked in the hotel room, losing his mind. At thirteen in New York City, Theo’s life was irrevocably changed. In trouble and suspended at a school with a meeting scheduled between his mother and the school, his father having run out on him and his mother, they prepare to go to the meeting. On the way, it is early, and his mother truly wanting to see some paintings in the museum before the meeting commences, they stop by the museum. Inside, Theo is entranced by a redheaded girl with an intense gaze, a violin case and an old man (maybe a music instructor/family member). He is taken with her. On the way out, his mother pops out to see something when the unthinkable happens: there is an explosion. Time and space are out of whack, and Theo finds himself with the old man who was with the redheaded girl. A moment is shared when the man gives Theo a ring, points out Carel Fabritius’s painting, The Goldfinch. Later, he dies. Theo takes the painting and leaves the museum, convinced he will meet his mother back at the house, as is their rendezvous point should anything ever happen. However, when his mother does not return, he telephones and instead has social services turning up on his doorstep. While they are looking for his father or grandparents, Theo moves in with childhood friend Andy Barbour and his family. Though not feeling entirely welcome, Theo has a place even though the world feels like it has ceased to exist since his mother’s parting. Eventually Theo traces the ring back to a man named James Hobart, an antique repairer, whom he pays a visit. Hobie is crushed over having lost Welton “Welty” Blackwell, and the two start a strange friendship, what with Theo finally having somewhere to go to when things get rough, his escape, completely undemanding. Pippa, the redhead from the museum and related to Welty and Hobie, survived the bombing, though she is terribly injured and her aunt Margaret swoops in and moves Pippa to Texas and later to boarding school in Switzerland. Theo’s life is soon snatched away from him again after he finds a way to make living with the Barbours work when his father, Larry, turns up with his new girlfriend Xandra and moves him out to Las Vegas. Completely upset about having to go and scared about the painting he will be dragging along with him, Theo moves to Las Vegas, away from everything he valued, away from the home of him and his mother, his friends, from Hobie, who had taught him so much. Soon Theo meets a Russian kid, a delinquent, named Boris. The two slip into a rapid friendship, something splinted and broken and not one hundred percent right. Drinking daily, smoking weed, skipping school and shoplifting, the two have a bizarre understanding of one another, and soon an unhealthy attachment to each other, something that cannot be broken. The two have become so intertwined with each other it is almost as though they are a singular entity. Boris basically lives in Theo’s house, away from his uncaring, alcoholic and abusive father. Still the painting of the goldfinch lingers with Theo, who knows it was madness not to return it and knows it is too late, too. Larry is different, and soon lands himself into a lot of trouble. Trying to bail himself out of trouble, he tries to clean out Theo’s college fund that his mother had set up for him, though he fails miserably. Theo and Boris make it through a few years together, adopting Xandra’s neglected dog and renaming him Popchik, their lives are spiraling more and more out of control. When on the precipice of losing himself entirely, Larry is killed in a freak accident. Theo loses his mind, going on the run. Stealing from Xandra, he takes Popchik and flees, begging Boris to go with him, though he is refused. In New York, after making it back mostly safely, Theo has nowhere to go, and ends up at Hobie’s place, who takes Theo in, no questions asked. The unknown frightens Theo, who makes himself indispensable to Hobie, terrified of being put into the care system or something. Paranoia about the painting now starts to set in – what if it is discovered? He could go to prison. He could be caught… Theo rapidly finds a way to deal with it and puts it into storage, not looking at it for years, afraid that he will be caught out. His life progresses, he takes over Hobie’s store, running the business end while Hobie still does the repair work. Dealing with a strong drug addiction and a depression that is endless, unrequited love for Pippa, Theo perceives things differently. He lives without necessarily living. Soon, though, a rug is ripped from beneath Theo and all sorts of problems arise. His selling false antiques for inordinate prices seem to come back to haunt him when a particular buyer knows he was conned, and dangles it over Theo’s head. As though it was bad enough, Lucius Reeve starts demanding that Theo sell him the painting, leaving Theo rattled. How would Reeve even be able to make the connection? Everything starts coming together, leading to his ultimate, deadly sojourn to Amsterdam. Will Theo ever get over the loss of his mother? Will Theo ever find a place where he truly belongs? What will Lucius Reeve do with the information he has about Theo’s antiques racket, or worse, his suspicions of Theo’s possession of the goldfinch painting? Will Theo be able to keep his shady dealing separate and away from Hobie, whom he loves and respects? Will Pippa ever understand his love and obsession for her? Will she ever return the feelings? You know, I got started on this book because Joseph told me he was reading it and that Donna Tartt had written his favourite book. Here, also, Joseph and I created our exclusive little Distance Book Club. Naturally, I just had to know now what was to follow, and almost immediately got my hands on it. It is quite a large book, which I love (though sadly mine was a digital copy – definitely going to buy a physical copy should I come across it), and I worked through it slowly solely to savour it. 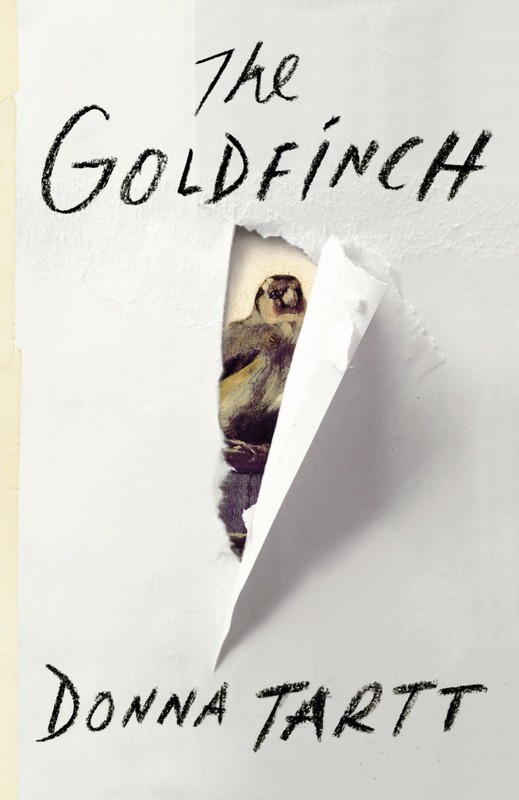 I read other books in between, but I was inexorably drawn back to The Goldfinch. Tartt is an amazing writer and I read a lot of the book not overly concerned about the content but about the style in which she wrote, it just reeled me in, demanded I absorb it and take it in. It feels like the book progresses slowly and deliberately, and it does, it is not a rushed novel or anything like that, but it never ones drags or gets boring. You actually live the story with Theo, feel his melancholy, his confusion, his displacement in the world, everything. You become a part of his life, the situations, you identify with how he got there, yet at the same time his romanticising about his drugs and his nihilism and all that makes him an unknown force, though charismatic and charming he is frayed and damaged, broken and unclean, keeping up appearances and all that. This book was absolutely brilliant and something I thoroughly enjoyed. Tartt really painted the world of black and grey, depression, bleak colourlessness and disinterest, while at the same time driving the paranoia, fear and the unknown dominated, as always. The characters around Theo ranged from more in depth to very shallow, and I was a huge fan of Boris, who was a charming character who thrilled me, but at the same time was a dark and broken force lingering in Theo’s life, who got so overly involved, and who was not a grand influence whatsoever – but I really liked his character and the inclusion of it, it gave a whole different dimension to what Theo was going through, and those he surrounded himself with. Overall you can surely tell I loved The Goldfinch and I highly recommend it. The book is captivating and well written and I was so hooked. I have never read a Donna Tartt book before, but I guarantee you I am on a mission now to find the other two books she has written. This entry was posted in Books and tagged book reviews, books, Donna Tartt, the goldfinch, Theo Decker. Bookmark the permalink. Yeah more time being the key words there, it was quite the read, but it is the best book that I have read this year so far, so it is worth it if/when you have more time! Ahhhhh!! I’m halfway done! I’ve been so busy and preoccupied with other meaningless stuff, haven’t gotten around to finishing. Will definitely pick up the pace after reading your awesome review! And so we can keep our super secret book club rolling along ;). Read The Secret History! That’s my favourite book :). Awwww Joseph I know the feeling, it is a crappy one! I cannot wait to hear what you think of the overall product when you’re done. I actually want to read it again, that is where I am at now! YESSSSSSSSSS! We cannot let it die! Did you finish Gone Girl? The Secret History… I am on this! I remember you said you loved it, and I read that it got seriously high praise, and The Goldfinch just dragged me all the way in with her writing, she is just amazing! I’m in. You didn’t steer me wrong with The Fault in Stars; I’ll trust you aren’t steering me wrong with this one either. Will be looking for it soon. 83/83 for The Goldfinch? Damn… hope people read fast there, it is quite the sizable book! There are 20 copies, so it’ll go faster that it otherwise might. But even still . . . 83/83 could take a while. Oh that is much better than what I was picturing! Still might be a while, but not the 82 people before you I expected! 😀 You read The Fault In Our Stars and enjoyed it I take it? YAY! I do hope you come across this one soon, I must say I was impressed! I thought the characters were sublimely well developed, and the romance genuine enough to never feel schmaltzy. And then there was the emotion. I cried at least seven times reading that book, including once (an hour or two after reading the first hand grenade conversation) in the car, my daughters in the backseat, when I wasn’t even reading the book. It is such a brilliant novel, The Fault In Our Stars. Hahaha, I think you have a point there. His writing style was very entertaining to read, and the story was inspiring yet completely heart breaking… oh goodness. Wow, I am glad to hear that you appreciated it so much. They did grow nicely and it was subtle, and you could follow the progression. It didn’t come from nowhere. What did your daughters have to say about that one? The line that brought me to my knees was where Augustus told Hazel it would be a privilege to have his heart broken by her. ;( Also the funeral/wake at the support group… I don’t know, there was so much going on in this novel, truly beautiful. That line from Augustus was pretty moving. So was the funeral infinities scene. And so many more scenes throughout. It was just expertly written. Oh there were so many. I loved how he always said her name. Hazel Grace! Ah, John Green really produced a gem here! Bwahahahahahahaha! A contested recommendation I see! I keep hearing about it, so definitely high up on my read list! 9/10? Wow – that’s high praise! Yep, 9/10, it was that good for me. Wow. I keep going back to it and thinking of the story… I might just be reading it again soon!